Editor’s note: This post is part of the NextBillion Series “By Women, For Women: Leaders and Innovations in Gender Equity”. Learn more about the other 2019 series here. Even as India promotes widespread participation in the formal economy through mobile money, many women remain excluded. Of India’s roughly 581 million women, nearly one in four (137 million) is outside the formal financial system. The problem is most acute in rural areas, where women and girls are also far less likely than men and boys to own mobile phones, have access to formal finance, and possess the technical and financial literacy needed to navigate digital financial services. Grameen Foundation believes that women are key to ending poverty. In order to advance women’s economic empowerment, we have established a unique, digitally driven social enterprise model that extends digital finance among hitherto unreached poor rural communities, especially women. The model is unique because it harnesses the untapped potential of local rural women who are rarely hired as traditional field agents. 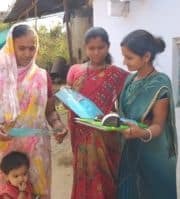 In the Indian state of Maharashtra, Grameen Foundation India has identified local rural women who are inclined towards making a meaningful contribution to society and learning new skills. Once they have acquired their own smart phone and a 4G SIM card, we provide them with a biometric authentication device and train them on digital financial literacy, enabling them to act as agents for both public and private sector financial service providers (FSPs). Our Grameen Mitras (which means “friends of the village” in Hindi) today form a growing network of over 200 skilled agents who have empowered almost 270,000 low-income individuals – mostly women – with access to digital financial services right at their doorstep. The program began around January of 2018, and the agent networks have been active since mid-November: These agents have already facilitated transactions worth more than 21 million Indian rupees. Equipped with a biometric authentication device and smart phone, a Mitra interacts with her clients at their doorstep. authentication systems. Rural communities also exhibit a fairly high awareness level of digital finance. But what they lack is the confidence and capacity to navigate seemingly complex transactions on their own. While having an account is the first step towards financial inclusion, actively using it is essential to building resilience, making savings, managing risk, etc. To address this need, Mitras impart training on digital financial literacy to clients, handhold them through their initial digital transactions, and assist them in selecting appropriate tools from a myriad of financial and non-financial services offered by the Indian government and other FSPs online. The availability of these services right at the clients’ doorstep distinguishes this model, enabling universal inclusion. Women and girls in many parts of the world are subject to restricted mobility, even today. Prevalent gender and cultural norms pose an additional challenge, resulting in their exclusion. By taking these services right to their homes, Mitras are helping mitigate barriers that prevent universal inclusion of women in the formal banking system, such as dependency on male family members for travel. Additionally, Mitras come from the same communities as their clients. When a familiar face visits a client within the comfort of her home on a regular basis, it becomes much easier for her to repose faith and trust in a new ecosystem. And this is enabling the women to become independent, empowered members of the broader community. Our Mitras are continuously pushing boundaries and overcoming traditional gender and cultural norms to improve their own livelihoods and transform their communities. The livelihood element is an important part of this approach. Grameen has fostered partnerships with a multitude of FSPs, who customize products and services for low-income women in remote areas but are unable to penetrate the rural market with their offerings. 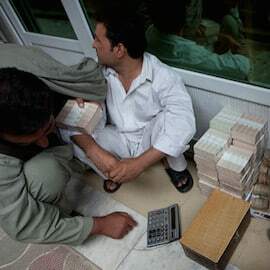 Mitras connect these FSPs with the under-banked communities, earning their income through small transaction fees paid by the FSPs they represent, and by end-users of the products and services. By reaching rural women, women’s savings groups and small business owners with diversified offerings, Mitras are able to grow and sustain their businesses. The income generated by these relationships allows both Mitras and their clients to accumulate consistent savings, manage expenses, reprioritize household spending on the education of their children, arrange healthy diets, etc. – all from the comfort of their homes. And Grameen Foundation’s mobile learning platform, G-LEAP – an augmented reality training toolkit – helps Mitras master new training content on their mobile phones. This allows them to upgrade their knowledge of product offerings on a regular basis, as these products are introduced into the market. True empowerment can only be achieved when both men and women acknowledge each other as equal beings. Achieving material goals like a stable job and income are the first steps toward this goal. But that is not enough: It is also imperative for women to be seen as equal contributors in decision-making processes, both within and outside of their homes. Based on the experiences of the Mitras and community members I’ve spoken to, it’s evident that the program is helping to spark this change. Dileshwara Thakre is no ordinary woman. Having lost her husband to a terminal illness a few years ago, she and her daughter were left penniless on the streets. 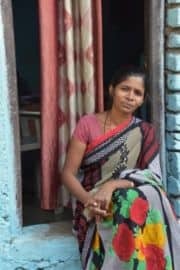 Shuttling between multiple jobs as a housemaid helped her put food on the table and keep her daughter in school, but it divested her of pride and self-respect. Thakre told me that her association with the Mitra program has enabled her to regain that pride and respect. 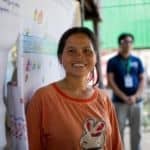 She has been able to supplement her monthly housekeeping income with transaction fees earned through her work, and has become a confident social entrepreneur. “Earlier, I was afraid to cross the road alone. Now I feel so proud that men in my village request me for help on various offerings. They respect me and look up to me,” she says. She is now investing her additional earnings and hopes to land a better job soon. Availability of these services hasn’t only offered convenience to people in remote areas, it has helped save lives. Sadashiv Bhau, an ailing elderly man from the village of Kondhali was able to withdraw cash from his pension account right at his doorstep and feed his family during an emergency. And Chanda Tai, an elderly woman from the town of Lakhani was able to obtain medical care for her daughter-in-law by making digital payment at the village hospital. The satisfaction that comes from helping such people in dire need keeps the Mitras going. The program also allows people in need to help themselves. Rukma Chaudhary, a Mitra from Nagpur district radiates a calm pride. She has dwarfism, and her husband suffers from polio. Though initially hesitant to join the Mitra program, today Chaudhary has blossomed into a role model within her community, working with the support of her husband to serve her clients around their village. She says, “My association with the Mitra platform has helped me break out of barriers imposed on me by my physical condition since my childhood. It has reinstated belief in my own abilities, helped me believe that I have the potential to build a beautiful life just as any other individual.” People now look at Chaudhary with respect, not pity. This, she says, has been her greatest achievement. We aim to establish the Mitra model as a self-sustaining social enterprise that creates entrepreneurship opportunities for rural women and communities, promoting their economic and social development, while enabling financial technology companies to expand their reach and social impact. This model can be adapted to support related interventions such as livelihood development, agriculture and health. By transforming local rural women into digitally-literate change enablers for their communities, Grameen is working towards building an equal and prosperous society – a society where women are given equal opportunities to empower themselves and their families, by exercising informed financial choices. Today, Mitras are succeeding in transforming the choices of low-income, marginalized women and communities, and are contributing to the growing movement across India for the empowerment of rural women. Their success fills us with pride, and validates our belief that women are key to ending poverty, when empowered with the resources they need. Tanvi Gupta is Associate Manager, Communications and Social Media at Grameen Foundation India (GFI). Image courtesy of GFI. Description: A Mitra helping an elderly woman understand digital finance in Bhandara district, Maharashtra.